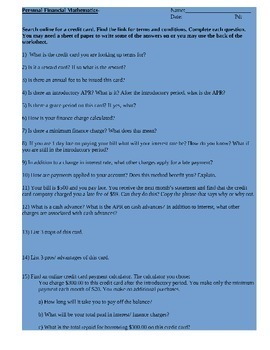 I have used this with my Personal Financial Mathematics classes for several years. 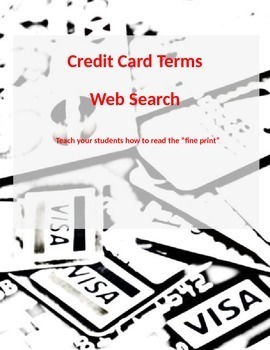 Students search online for a credit card, then they must look at the terms and conditions of the credit card and answer the questions. It has helped my students realize that credit cards have pitfalls and starts the discussion of how to use credit cards responsibly.